Literary-critical and cultural study of two collections of poetry by the Arab-American poet Etel Adnan. Sells, Michael. "Irremediable ecstasy, modes of the lyric in Etel Adnan's The Spring Flowers Own & Manifestations of the Voyage." 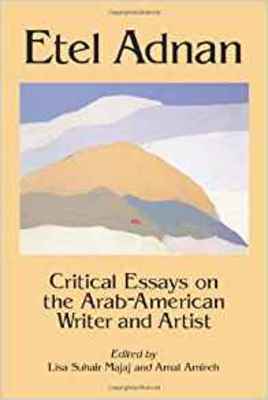 Etel Adnan: Critical essays on the Arab-American writer and artist. By Lisa Suhair. Majaj and Amal Amireh. Jefferson, NC: McFarland & Co., 2002. 50-66.